Arrived in Pasajes by the highway at 8.45am. We park the car downtown Pasajes (free parking), and we walk down to the harbor. A little boat take us there for 20 cents to the other side of the bay. And here is the beginning of our expedition. When arrived to the Oceanside, we climb about 200 steps (up to 100 meter high), which bring us to the top of the hill (in front of the Jaikibel). This is where the spectacular journey begins. We walk along the coastal path during about 3 jours to Donostia San Sebastian. You will arrive on Zuriola beach around 1pm for those in good conditions). 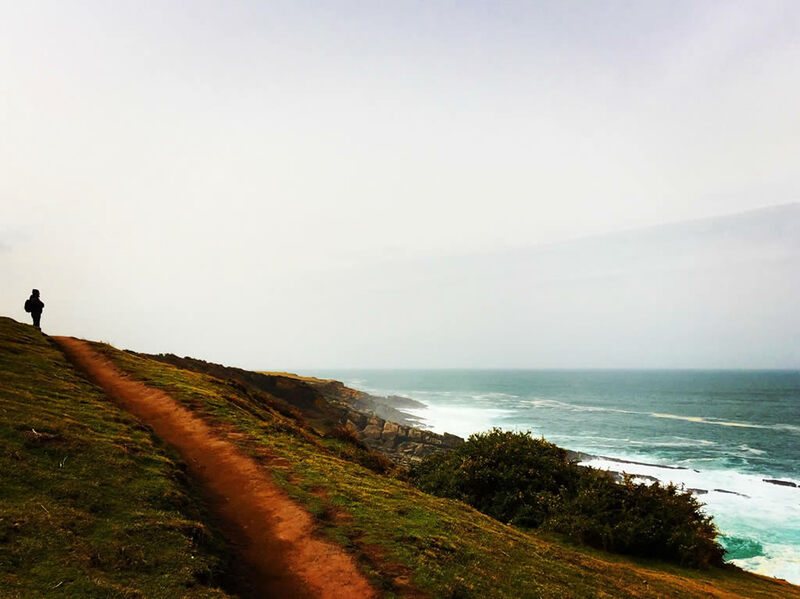 This trail is wild and safe at the same time, enchanting and reassuring, and offer a permanent view on the ocean and the horizon. If it is hot and sunny, make sure you take your swimsuit to dive into the ocean when you arrive. And of course bring some money as well in order to walk to the old town and enjoy some tapas and a big glass of beer (highly recommended after such an effort!). This will be the perfect timing to have lunch in Spain. Atari is one of our favourite tapas bar there. How to go back to your car? You will have to walk back to Zuriola beach and grab the bus which will bring you back to Pasajes, where you will take the little boat again, straight to your car. You will be back in Guéthary around 4 to 5pm, just in time for little nap. It is now time to go get your kid cause you are starting to miss him. And tonight, we will watch the sunset over Guéthary harbor. If you liked this journey, come and join us at Providence to share your thoughts!